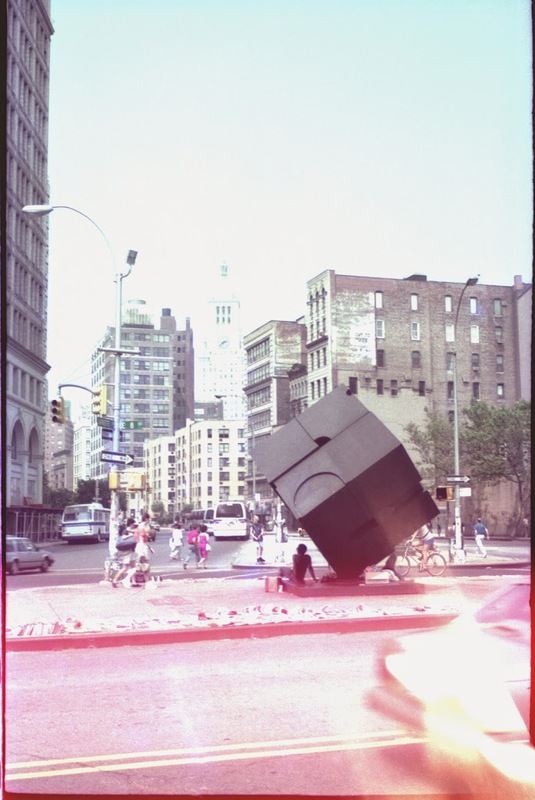 Like many remaining stalwarts of the East Village, the Astor Place Cube is headed into a “rehabilitation” of sorts. 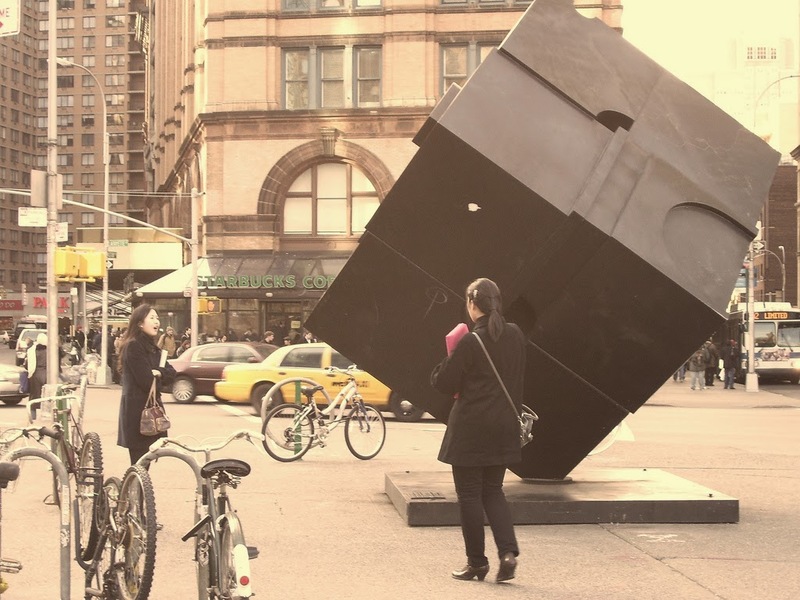 Alamo, the sculpture by Tony Rosenthal, is being removed as Astor Place goes through an extensive $16 million renovation. 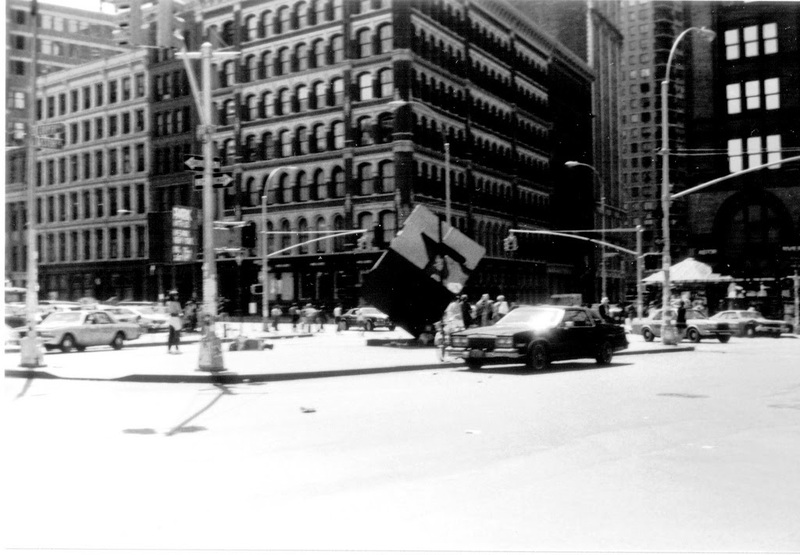 The blog Bedford + Bowery observed the sculpture being lifted into a flatbed truck and driven away, to return sometime next year. 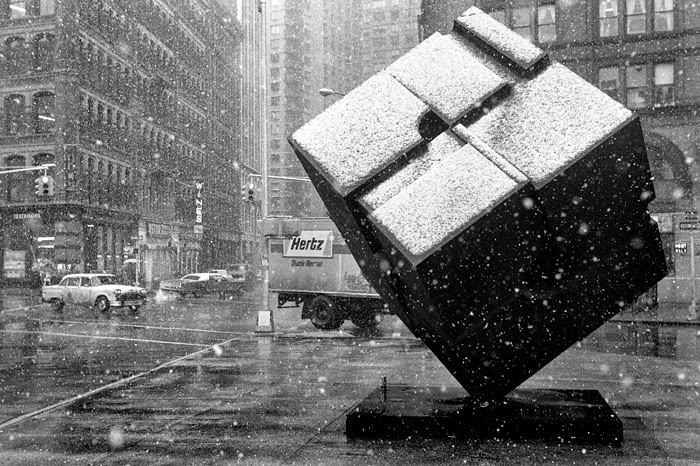 The cube has been boxed up for over a month in anticipation for its temporary removal. It’s coming back! They swear! Still with the closure of so many East Village institutions, it’s a startling thing to see. When it returns, it will be surrounded by pedestrian lanes and Sawtooth Oak trees. Like many of us, it will look around its new environment and wonder what the hell just happened. 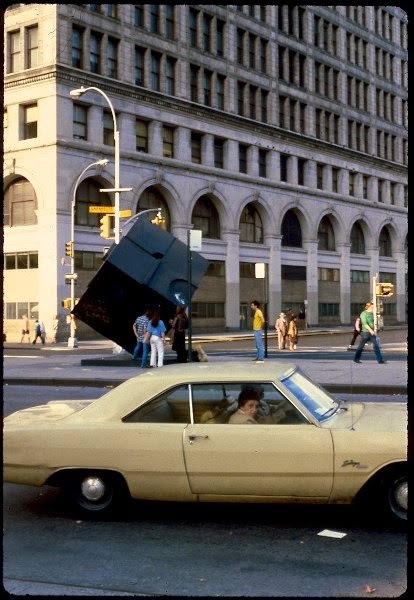 Meanwhile the Cooper Union building — the original, classic one — will still be there. As will Jerry’s Newsstand. 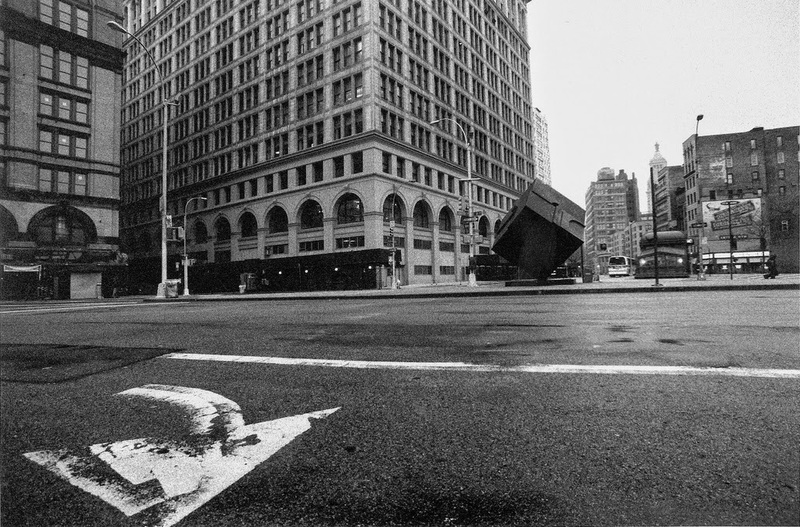 And, of course, the office building that was once the location of the Astor Place Opera House, famous for the 1849 Astor Place Riots. The Alamo in 1980, photographed by Michael Sean Edwards. The Alamo in 1988, photographed by Stu Brown. Thanks to the photographers above, and thanks to the Bedford + Bowery for being on top of this! They have a video of the removal if you want to cry cube-shaped tears.